Home Vitiligo How Does Vitiligo Protopic Work? How To Use It? Protopic for vitiligo, also known as tacrolimus, has been proven effective and is now in use by vitiligo patients in many countries. Protopic refers to a medication – in this case, an ointment – that is applied on the skin. 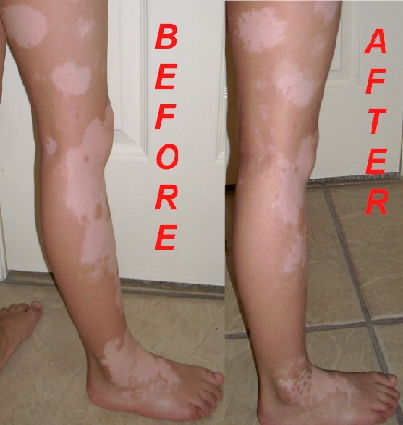 It is one of the preferred treatment options for vitiligo. Vitiligo can be resolved with the use of this product but it can be used only after proper advice from a dermatologist. This is administered only upon prescription of a specialist. Vitiligo Protopic is known as an immunomodulator. Protopic is similar to Elidel, which is also an effective non-steroid topical ointment. The concentration of these products prevents them from being used by patients with other skin disorders. Below are some other details about Protopic for vitiligo. Vitiligo Protopic, which is a powerful immunomodulator, acts directly on the immune system. The ability of the immune system to mistakenly generate antibodies that act on the pigment cells of the patient is suppressed by this product. The suppression of the immune system is essential in treating vitiligo. This is because the mechanism that causes the defect in melanin production, which is triggered by melanocytes, needs to be stopped. Without melanin, white patches will appear on the skin, causing vitiligo. By suppressing the immune system, the desired increase in melanin pigmentation occurs, resulting in repigmentation. That is, the white patches regain their nourishment and may turn to the skin’s normal coloration once more. Protopic for vitiligo treatment is a concentrated solution in petroleum jelly form. This jelly-like solution has to be used only twice in a day. Repeated use within a span of a few hours can cause trouble in our systems. A considerable period should be allowed between applications. That is, it has to be reapplied only after 12 hours. The petroleum jelly has to be applied on the white patches in a very thin layer. This thin layer is often easily absorbed; the patient should thus wash off what is left of it on the skin after half an hour. The solution left behind is not safe so it must be removed. After the application and removal of the excess solution, sunscreen or other concealer makeup is applied. Vitiligo Protopic is available in two strengths: one is 0.03%, which is suitable for children, and the other, a 0.1% solution, which suits adults. A few of its side effects may be severe itching and stinging, swollen glands, crusting or redness around the hair follicles, and other signs of skin infection. Atopic dermatitis is the specific disorder that requires the use of Protopic. This product is manufactured using a rare soil bacterium known as Streptomyces tsukubaensis, which can only be found in the island of Honshu, Japan. This bacterium has been found capable of suppressing the immune system, thereby inducing the melanocytes to generate melanin. Melanin, as we know, is the skin pigment that is responsible for our skin coloration. It should be kept in mind, though, that even while Protopic leads to favorable results in many vitiligo sufferers, it could take time to see its effects in others. Getting 100% repigmentation is also unlikely, and there is always the possibility of a relapse.